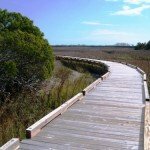 Tucked between the Francis Marion National Forest and Cape Romaine National Wildlife Refuge sits Awendaw, a Lowcountry town about 12 miles long. 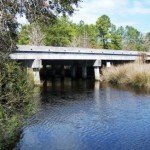 With historic McClellanville to the north and Mount Pleasant to the south, the town is home to natural features such as the the Awendaw Creek and cultural features like the prehistoric shell ring, built around 4,000 years ago by local Native Americans. 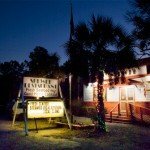 In fact, the area’s first inhabitants, members of the Sewee tribe, first named the village Wappetaw, meaning “sweet water.” By the time European settlers began to arrive in the late seventeenth and early twentieth centuries, the area was called Awendaw. The aforementioned settlers were a group of Dissenters of the Church of England who arrived from Massachusetts around 1696 and established plantations along with the Wappetaw Independent Congregationalist Church by 1700. The church was burned in 1782 during the Revolutionary War and rebuilt four years later. However, following the end of the Civil War, many planters left the Awendaw area, where they had established lucrative rice plantations, for nearby McClellanville to start new lives as merchants and fishermen. New Wappetaw Church was founded in McClellanville in 1872, and the Wappetaw Independent Congregationalist Church in Awendaw is no longer standing. 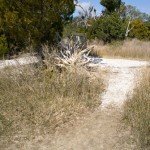 However, the original cemetery and a marker commemorating the church stands in Awendaw on the site of the church. On September 21, 1989 Hurricane Hugo, a category-4 storm, made landfall about ten miles away from Awendaw in McClellanville, wreaking destruction along the South Carolina coast. Trees were uprooted and felled, homes were destroyed, and shrimp boats were lifted from the creeks and hurled onto land. The devastating storm claimed the lives of 35 South Carolinians. However, the Awendaw boat seen above, lying on its side and frequently spotted along United States Highway 17 by Awendaw Creek, is not the work of Hurricane Hugo but of Awendaw resident John Dunn. Dunn began building the boat in the late 1970s and never finished the project. 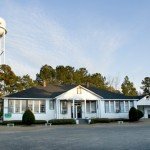 Awendaw was incorporated to a township in 1992, and native William H. “Bill” Alston was elected as the first mayor, serving until 2009. 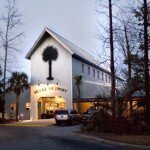 Today the town hosts several popular attractions and events, including the Blue Crab Festival held each fall, The Bulls Bay Nature Festival held each spring, the Center for Birds of Prey, and the Sewee Visitor and Environmental Education Center. 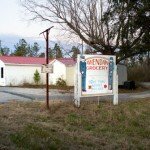 However, like most of South Carolina’s coastal towns, Awendaw’s beautiful environment has attracted developers, and the town is presently walking the fine line between over-development and maintaining its rural charm.